The official February temperature figures are out. And as a complement to my previous post January U.S. Temperature trend/decade: – 9.4 F COOLER in 100 years, I thought I dive into it. You REALLY, REALLY can see the accelerating trend can you not? 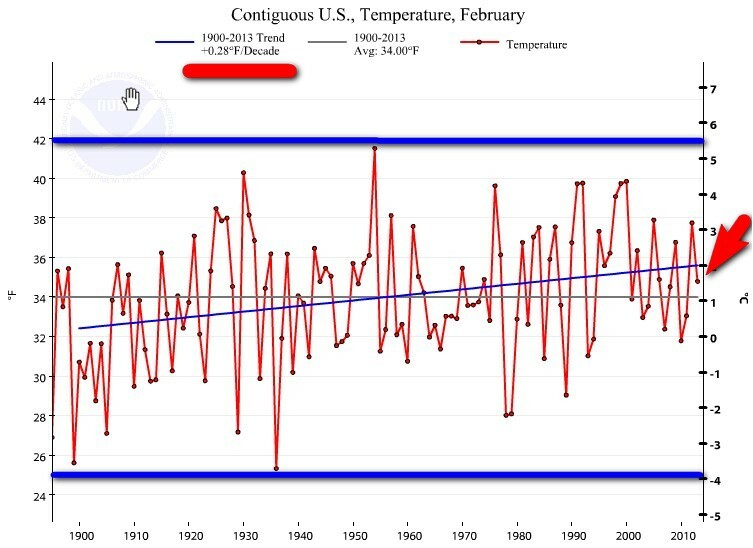 So the “warming trend” 2000-2013 for February is exactly – 1.27 F degrees a decade. That is a – 12.7 F COOLER in 100 years. That’s what I call “warming”! Take cover – The sweat is really breaking out. And we are supposed to be very worried about a predicted rise of 3-4 F ? 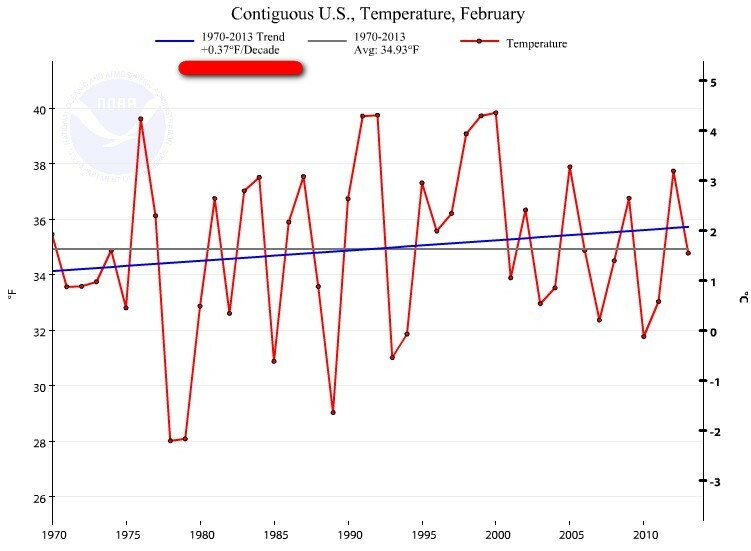 The February trend 1970-2013 is exactly 0.37 F degrees a decade. 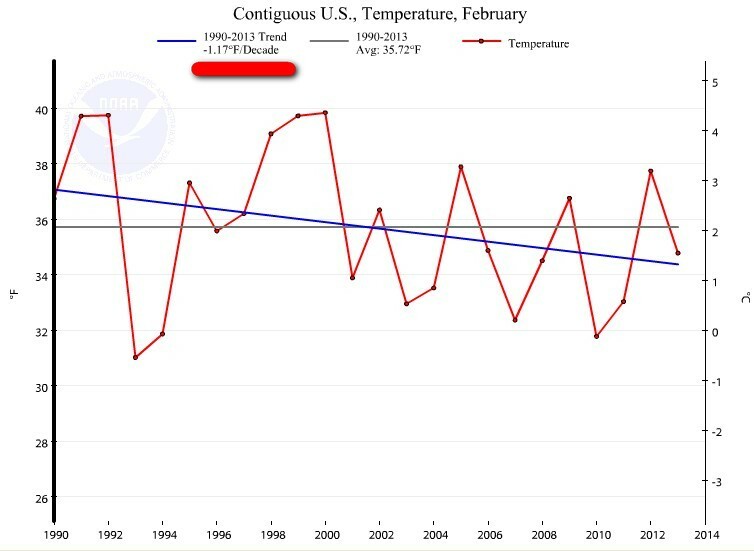 The February trend 1980-2013 is exactly 0.02 F degrees a decade. 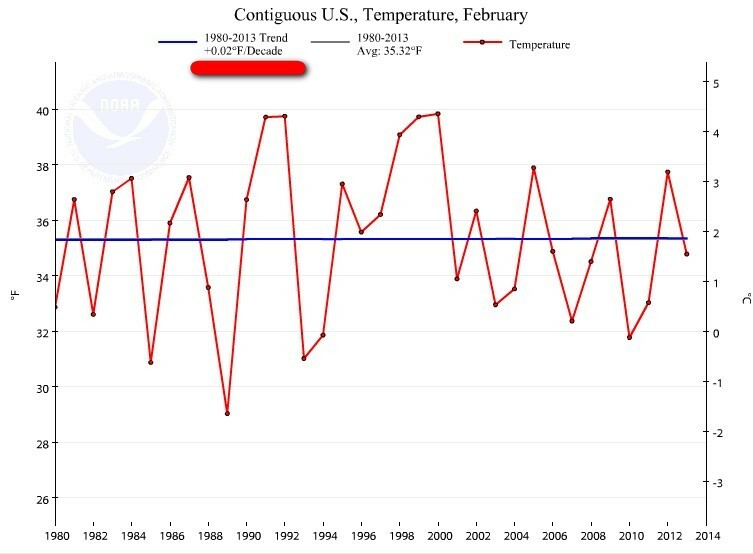 The February trend 1990-2013 is exactly – 1.17 F degrees a decade. 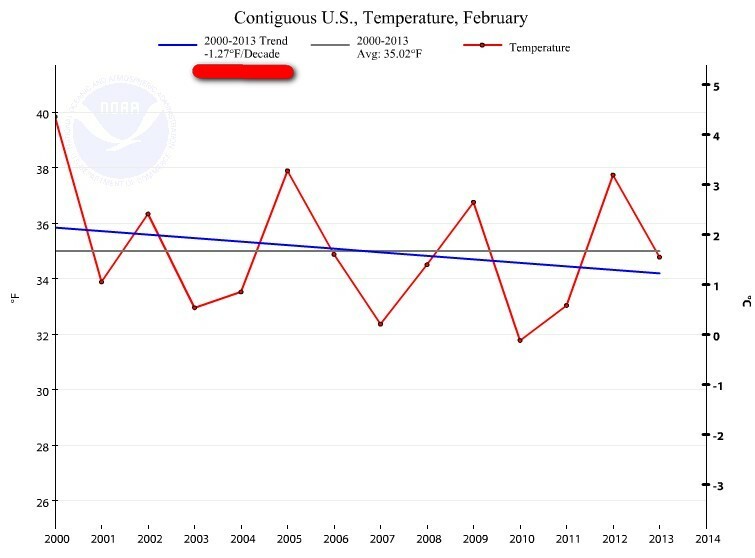 The February trend 2000-2013 is exactly – 1.27 F degrees a decade. Another brilliant and glorious example of RAPID WARMING and an eminent treat to humankind! Especially during the last 43 years. This entry was posted on 11 mars, 2013 at 10:27 e m and is filed under Fri- och rättigheter, Miljö - Environment, US Temperature, USA, Yttrandefrihet. You can follow any responses to this entry through the RSS 2.0 feed. You can leave a response, or trackback from your own site. I am really glad I have found this info. Nowadays bloggers publish only about gossips and net and this is really frustrating. A good blog with exciting content, this is what I need. Thank you for keeping this website, I will be visiting it. Do you do newsletters? Can not find it.